Parents passionately want to succeed in raising emotionally healthy children. They also want to enjoy their little ones. When their children arrive later in infancy or childhood, most parents are well-aware that they are doing more careful parenting. They are nurturing not only to build a relationship, but to help mitigate any impact of losses or maltreatment. What are reasonable things for parents to concentrate on during the first year home? How can parents do the best to enjoy their children? They do not want the pleasures of parenting their children dimmed by a chorus of cautions. On the other hand, they do want to make that first year a great start. Here are my TOP TEN hits for a great start to your relationship with your baby or child. The most significant process of the first year home is creating a trust relationship. Intentional and ample nurturing promotes this goal. Restrict your hours away from the little one. Do not leave your child for overnight trips for this first year. Meet your little ones needs in an especially sensitive manner. Feed on demand. Respond quickly to fussing. Allow the toddler or child to regress, bottle-feeding, rocking to sleep, lap sitting, and being carried. Let your child experience you as the safe person who is sensitively meeting her needs. Play little games that promote eye contact, like peekaboo, pony ride, and hide-and-seek. Make positive associations between yourself and food. Rather than children becoming more dependent through this extra nurturing, they instead become trusting. Anxious people do not know who they can trust to help them. More secure individuals understand that they do not have to be perfect and that they can rely on significant others. Children who do not learn to depend on others tend to be anxious or emotionally constricted. Their “independence” is a false one, meaning that they do not trust others and can only rely on themselves. The child who has learned a healthy dependence is more secure in trying new things and venturing out. She always has a safe, home base to come back to you! Many little ones have missed the joys of play. Act as an amplifier, teaching toddlers and children the pleasure of play. Most children have missed the experience of having parents express joy as they played. Because of this, their reward centers were not stimulated. This restricted the association of exploration and play with pleasure. Set aside at least thirty minutes a day for play with your children. Younger children may want this in segments. Do not hesitate to use voice tones and expressions that are ones usually meant for infants and younger children. If your child can already play, then continue to build your relationship through play. Shared enjoyment cements relationships. Make your family one that develops a pattern of having fun. Throughout life having fun as a family builds self-esteem. 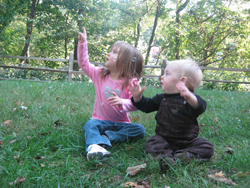 While some children take off in play, others cannot stay engaged for long. Continue to stretch the more tentative child, engaging her in mutually enjoyable activities. Look for different sensory modalities that might feel safer or more interesting. For example, a boy who was afraid to play outdoors began to use sidewalk chalk with his mother, even though the grass seemed overwhelming. Gradually a ball was used on the sidewalk, and then onto the grass. Take things in steps if children are wary. Parents of infants use exaggerated voice tones to emphasize important concepts. Their “amplifier system” helps children with attention to most important parts of the whole environment. After children move into the preschool age, some of this “cheerleader” amplification diminishes. Continue to use this brighter emotional tone with your child as she understands your shared world even if she is not an infant. Explain things to him, even though you might think that the meaning of what you are doing is obvious. Not only are you conveying information to him, you are revealing your view of the world to him. Your voice tones guide him to better understand the context. Be sure to use your fingers and gestures to point out important things to him. This helps him to both attend to and understand the meaning of the context around him. Early language not only teaches us words, but a way of understanding our world through the subjects selected for attention and their associated intonations, expressions, and gestures. Most of us have an internal dialogue going on during the day. (Yes, we are actually talking to ourselves.) Simply make some of this internal language external. 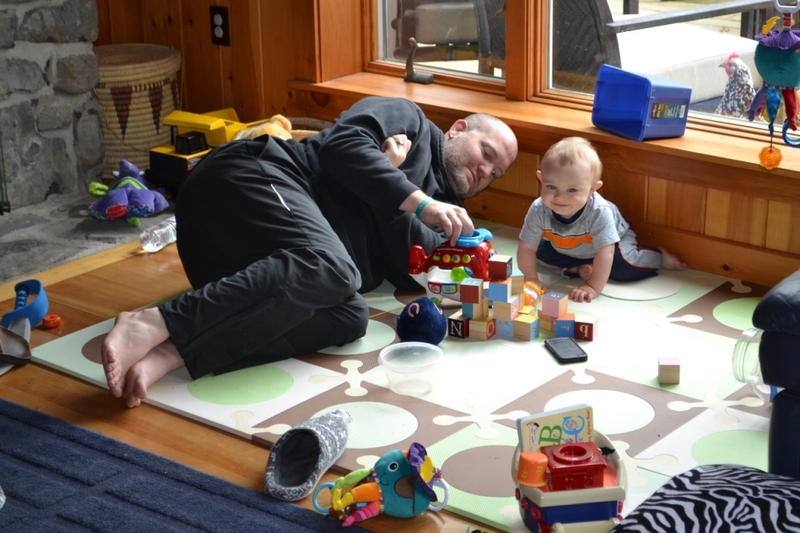 This is a typical activity for parents of infants. However, it tends to diminish as children get older. Since children have missed this early activity, parents should feel free to describe things as they would to an infant. 4. When toddlers or older children have behavior problems, use your body to stop them. Be gentle, but be consistently and predictably competent in stopping negative behaviors. Do not use over the shoulder commands or across the room reminders. Stay within arms reach of the child, moving their hands, bodies, feet, to where you want them to go. Never tolerate hitting, kicking, or hurting. Some parents allow a child painful “exploration” of the parents faces. This is teaching that will have to be undone later. Gently move their bodies to where you want them to be. For example, if your little one is reaching for an item, move the child or the item. Use the voice for a back up. Do not remind or repeat several times. Instead, describe in a pleasant manner how precious or pretty the item appears to you as you move your child. Teach boundaries of respect from the beginning. Obviously, most parents will not be getting much done except parenting when their child is awake. Remind yourself that your primary job is parenting when your child is awake. 5. Get enough sleep, good food, and exercise to stay in a good mood. Little ones who have been moved and/or neglected tend to be irritable, fussy, and hard to soothe. 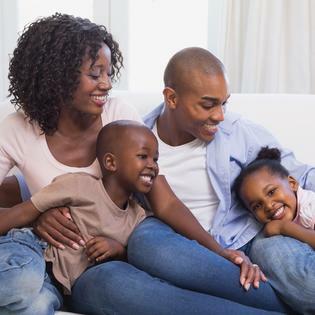 Parents use their own positive, well-regulated moods to help calm and engage these little ones. Your own emotional stability will help to steady your child’s moods. A depressed parent struggles to form a positive, secure attachment with her baby or child. Depression makes the parent emotionally less available. The parent who is tired, eating junk food, and inert by days end does not give a child a competent source of emotional regulation. Parents who find that their moods are slipping, even with good self-care, should see about counseling and/or an antidepressant. It is simply too hard to do this essential, nurturing parenting while being depressed. Model respect for yourself by taking time for showers, good meals, and sleep. 6. Be part of an adoption support group. The relationships between families are invaluable. The relationships can be emotional lifelines on hard days. If possible, find a mentor who is positive, and who likes you and your child. Ask her to be part of your circle of support. We all need to feel understood and authentically accepted. A mentor who can provide that sense of nurture for the parent helps the parent to be a good nurturer. The mentor relationship provides a sense of being heard and accepted, and tips and information. Parents are working harder emotionally when parenting a baby or child who has lived through uneven parenting. Parents need someone who cares for them. Sometimes this can be mutual support, and sometimes one-to-one. 7. Keep a calm, but interesting home. Match the amount of stimulation in the home to the amount that is within the child’s ability to tolerate. Many children have been massively under-stimulated before they came to parents. Neglect massively under-stimulates children. They do not build neurology to process as much sensory stimulation.After adoption, their worlds can suddenly be overwhelming. Things are too bright, too loud, move too much, and tilt too much. Slow things down, buffering your baby or child to the extent that they can process the information coming their way. Often children who are overwhelmed by noise will begin shouting, or those overstimulated by too much movement will begin running with arms like windmills. Lay out predictable, consistent events for the day. Some children find the movement of the car to be disorienting. If your child is having difficulties, try a couple of days limiting the car, determining whether or not this makes a difference. 8. Explain to children basics of your relationships as they gain language. 9. Do watch for signs of an exclusive attachment by the end of the first year. Children should be seeking out their parents for affection and play. They should be showing off for positive attention. They should prefer being with the parent. They should show some excitement about time together. When hurt or distressed, the child should seek out the parent. 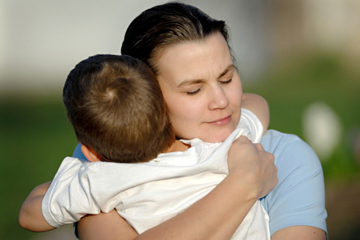 In a secure attachment, the child will calm with the parent and accept soothing. Trauma and traumatic grief are the common culprits when children are remaining wary, fearful, and controlling of their parents. Signs of trauma with younger children include regular night terrors, dissociation (child shuts off emotionally and stares away), scratching, biting, extreme moods, freezing in place, and destructiveness. Parents who see these symptoms should be finding a mental health counselor to help their child. If the child is under the age of three, the parent is given special parenting advice. Usually therapy with an experienced child therapist can begin not long after the age of three. Do not have an artificial timeline of “fixed in a year,” for the preschooler or older child. Consider the year marker as the time it takes to really get to know your child not to iron out any behavioral irregularities. 10. Enter your little ones space positively. This often means getting low and looking up for eye contact. It means trying hard and trying patiently for a longer time. You are the one who has the responsibility of engaging your child positively. Do not use punitive techniques to try to build relationships. After all, no one wants to attach to a mean person. Instead, be strong, dependable, available, and kind. Veer away from advice that is strong, controlling, and mean in tone. Sensitive and kind parents gradually build empathy and security in their relationships with their children. That process takes time and the type of parenting that caused you to want to be a parent in the first place! Maintain a sane schedule as you move into year two. Many parents decide that the first year is the marker until they can re-enter a “normal” schedule. Among family therapists there is national concern about the taxing schedule that Americans are considering “normal.” Resist this widespread but unhealthy pace. Continue to parent with margins of time that allow for sensitivity, with margins of emotional energy that allow for appreciation of those around you. Model a healthy, emotionally fulfilling lifestyle to your child. Deborah Gray is a children’s psychotherapist who specializes in the areas of attachment, adoption, trauma, and loss. She is the author of Attaching in Adoption: Practical Tools for Today’s Parents, Perspectives Press, 2002, and Nurturing Adoptions: Creating Resilience after Neglect and Trauma, Perspectives Press,2007.